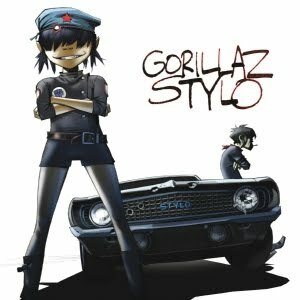 It’s been up online for less than half an hour, but the new video clip by cartoon band Gorillaz is already receiving rave reviews over on Youtube. With almost one thousand comments already registered, the clip’s garnered a five star rating. And it’s not hard to see why – we’ve not seen a more menacing car and driver than Mel Gibson in ‘Mad Max’ (or perhaps Sandra Bullock in ‘Speed’). But just when you think things couldn’t possibly get more menacing, along comes a rather spectacular cloud formation and the clip’s big star power – Bruce Willis. And you don’t want to mess with him. They look like they’ve spent an obscene amount of money on this clip, but it’s been worth every cent – it’s fantastic.